We welcome your registration no later than one month before the date of the course. Just showing up does not work. Participants will be introduced to the basic elements of shamanism and the basic methods that shamans use to enter”non-ordinary”reality in order to learn how to resolve personal issues and how to bring Healing to themselves and others. 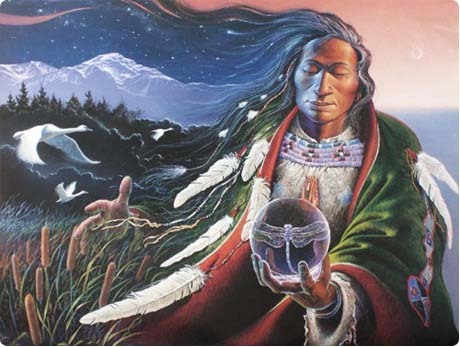 Particular emphasis will be placed on the “shamanic journey”, one of the methods used by shamans to explore this hidden reality, normally known through myths and dreams. Participants will experience the “shamanic journey”, helped by the sound of the drum. They will get direct experience in the “shamanic state of consciousness” which, in addition to awaken spiritual abilities, also reactivates the connection with Mother Earth, with nature and with themselves. Participants will also learn specific techniques, used in the “shamanic journey,” to meet Power Animals and Spirit Guides. They will learn how to integrate the basic principles of shamanism in their daily lives in order to maintain health and well-being for themselves, for the community and the planet. Please bring a rattle or a drum, if possible, wear comfortable clothes and socks, bring a scarf to cover your eyes during shamanic journeying, a blanket, a pen and a notebook to write down your shamanic experiences.